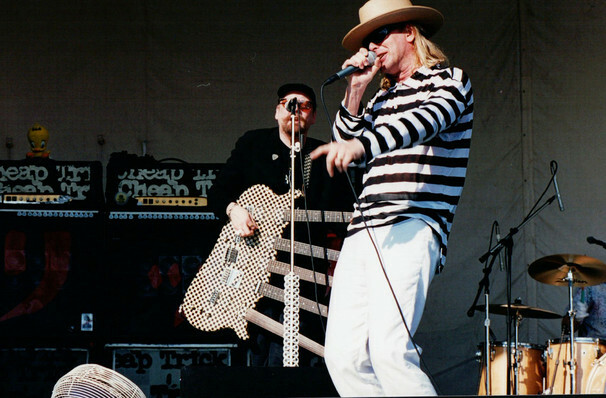 The legendary rockers Cheap Trick never seem to be off the road, so it shouldn't be a surprise to see them lined up for a series of North American shows this year. The band have now been together for some 40 years, during which they've more or less defined the 'pop rock' genre. Tracks like Surrender and I Want You to Want Me showcase their enviable skill at marrying earworm, bouncy melodies with hard rock riffage. While their career may have started with disappointing sales in their native US (but massive success in Japan, for some reason), they're now respected elder statesmen of American rock, with everyone from Kurt Cobain to Guns 'n' Roses citing the group's influence. Billy Corgan's love of the band led to them opening for Smashing Pumpkins several times at the height of their mid-90s fame. Sound good to you? 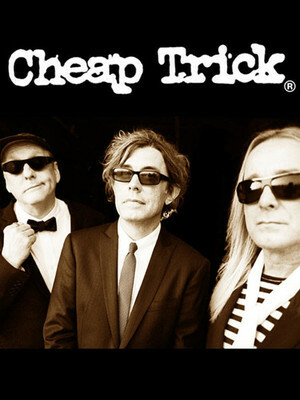 Share this page on social media and let your friends know about Cheap Trick at NYCB Theatre at Westbury. Please note: The term NYCB Theatre at Westbury and/or Cheap Trick as well as all associated graphics, logos, and/or other trademarks, tradenames or copyrights are the property of the NYCB Theatre at Westbury and/or Cheap Trick and are used herein for factual descriptive purposes only. We are in no way associated with or authorized by the NYCB Theatre at Westbury and/or Cheap Trick and neither that entity nor any of its affiliates have licensed or endorsed us to sell tickets, goods and or services in conjunction with their events.